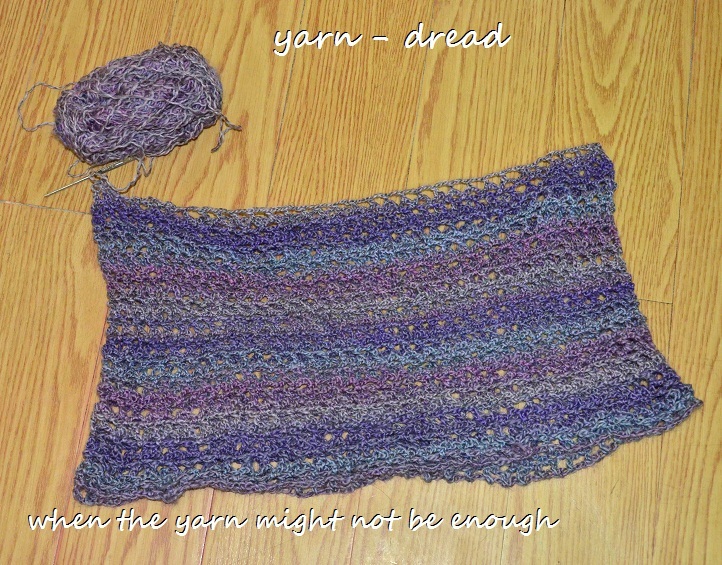 Yarn dread – when a yarn might not be enough. Improvisation is usually the solution to this. Sometimes what you do to improvise, actually works, sometimes it does not. 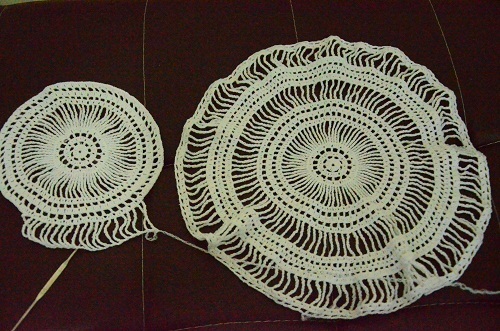 As for me, since I usually crochet just to destress, thinking about what will work would defeat the purpose of crocheting at all. So I crochet and crochet. 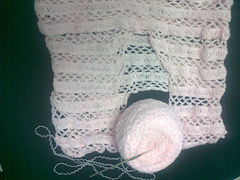 I attached a very soft cotton yarn on the top part of the blouse. 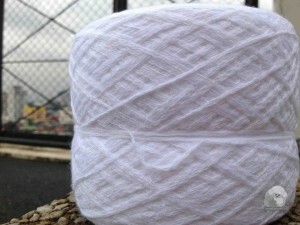 The white yarn is very very soft and I almost have forgotten about this yarn I liked so long ago but only comes in two small skeins. Now I am thinking this might look good on this project. 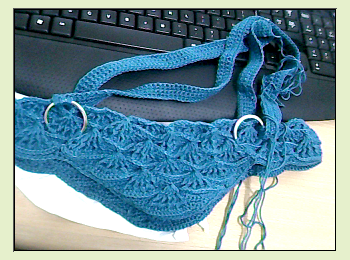 I am not yet so convinced but I will proceed with finishing this top. The violet monochromatic wool blend yarn complements with the soft texture of the white part, so I think I am heading the right direction. Specially if I am planning to make one full garment. 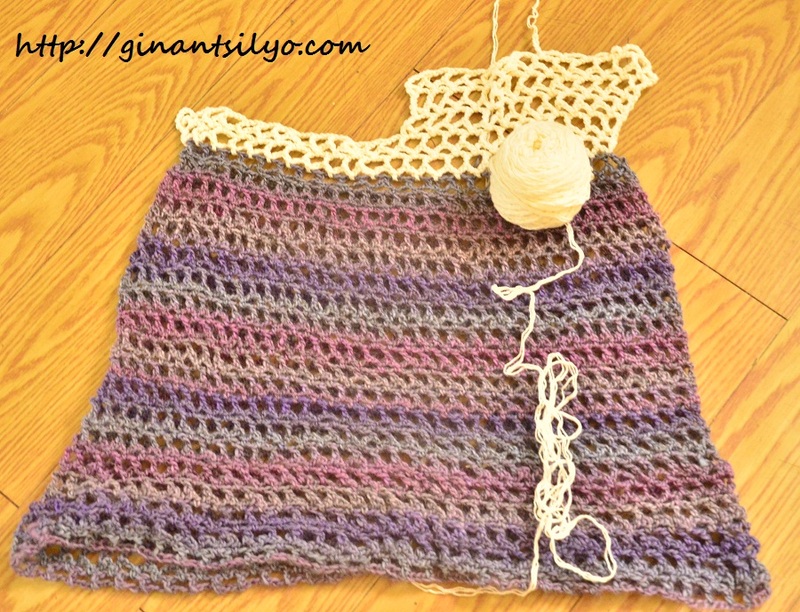 The top part of the dress is done in one full skein while one sleeve of this length consumed half a skein. 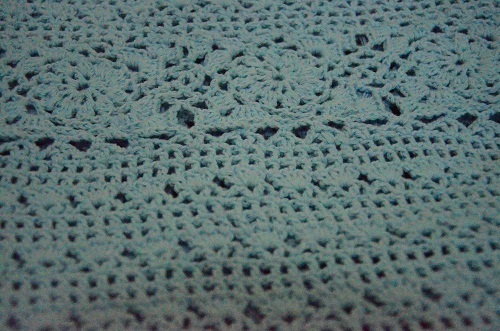 Hopefully I can still crochet amidst tons of coding I have yet to do. Aja! 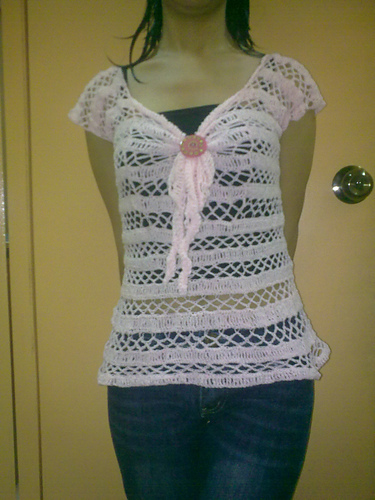 This entry was posted in Blog, Crochet, Yarn and tagged crochet blouse on November 20, 2012 by Lorelie Dazo. Then you could transform a casual get-up to a chic one. The fabric is soft and light that it could work well with your office attire. 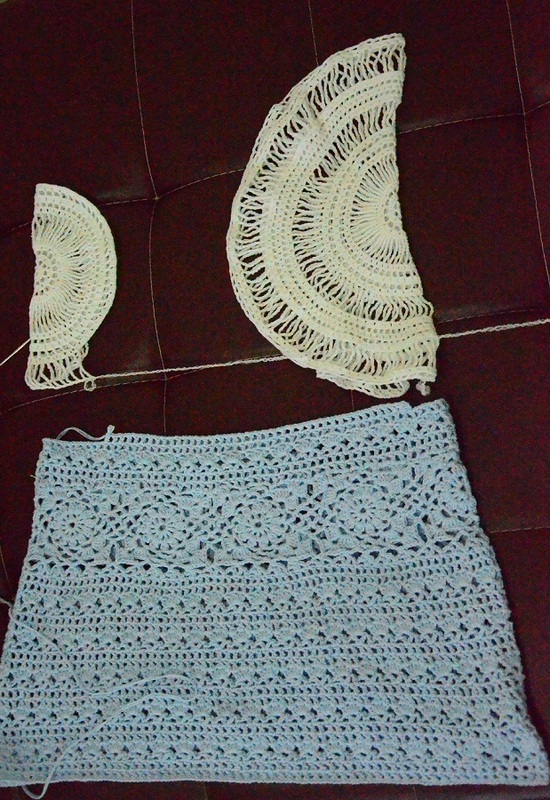 This entry was posted in Blog, Crochet, Gawang Gantsilyo and tagged crochet blouse on October 13, 2009 by Lorelie Dazo. This crocheted blouse is a mixture of textures – soft, hard and rough. 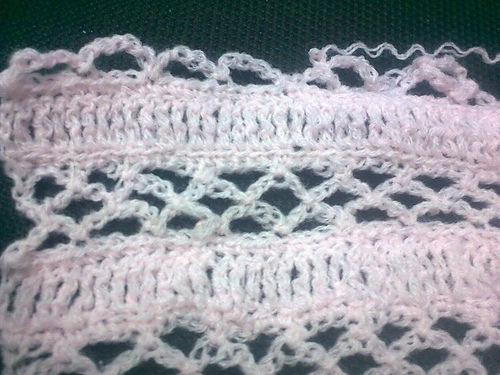 This project is somehow memorable since this is the first time I heard about pineapple stitch. That’s why i named it PiÑa Collada. I played with the idea of including fabric into crocheted and it turned out good. I made it for my bestfriend. 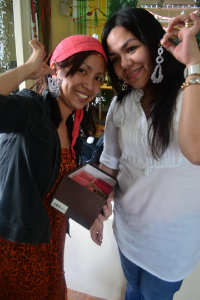 I used a native fabric from Ilocos. The fabric is actually handwoven. She is one of my beneficiaries of my crocheted anything. This entry was posted in Blog, Crochet, Gawang Gantsilyo and tagged crochet blouse, momoink on October 12, 2009 by Lorelie Dazo. Actually. I miss painting. But as you see, i am not so good at it :). I used to really want to be an artist. For now, I am happy just being able to do what i love doing. This entry was posted in Arts, Blog and tagged Arts, crochet blouse, drawing on October 12, 2009 by Lorelie Dazo.